We were away for the weekend celebrating our anniversary. We had such a good time going to a winemaker’s dinner and eating tapas in Sonoma, CA. We loved the tapas place, Tasca Tasca, right off the square. Here is a picture of the tapas plate we had. 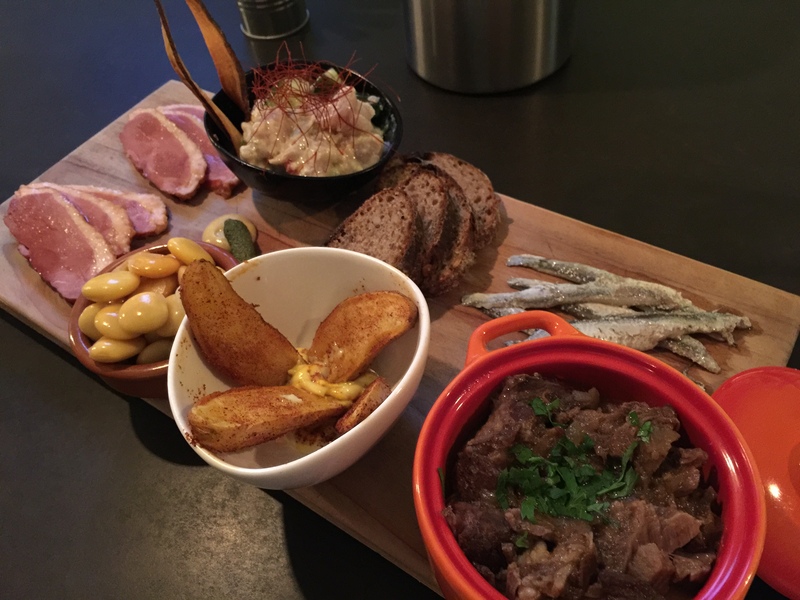 Tapas from Tasca Tasca included smoked duck, tuna ceviche, anchovies, and goat stew! But it is reality time and we cannot keep eating like we are celebrating all the time. When we got back on Monday I made stuffed peppers. I had bought a package of six peppers at Costco and it was time to use them before they went bad. I cooked the farro using the oven method and mixed it with a bunch of brown mushrooms sautéed until they were dry plus some onions, garlic, Fresno chile, bell pepper, oregano, and seasoning. Then I added some jarred spaghetti sauce and cooked it briefly all together. I split the peppers in half and microwaved them for five minutes until they were pliable. Each of the twelve halves got a half cup of the farro mixture. I baked the whole thing in the oven at 350F for 45 minutes. We ate two halves each on Monday and Tuesday and we have a portion left for later in the week! 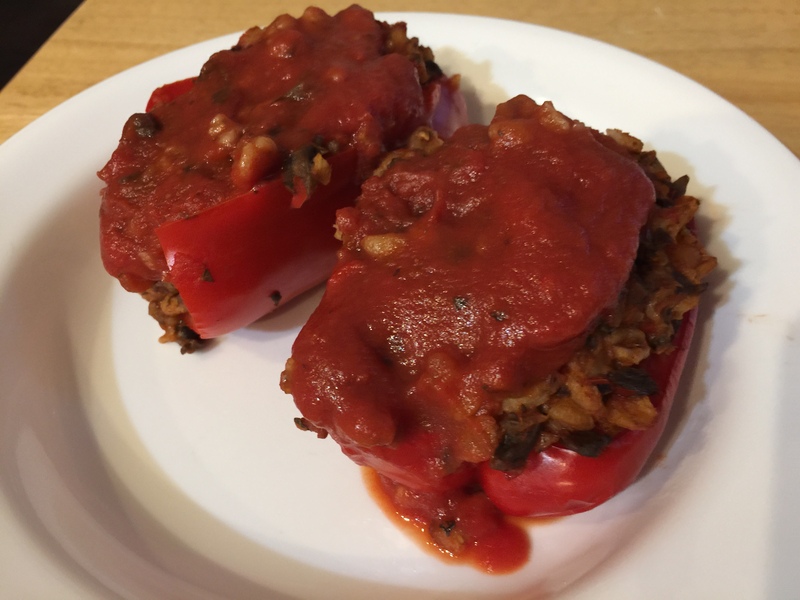 This entry was posted in Vegan, Vegetables, Vegetarian and tagged bell pepper, chiles, farro, mushrooms, Onions, Sonoma, tapas, Vegan, Vegetables, vegetarian. Bookmark the permalink.